A few weeks ago, I was formally introduced to Woodturtle after following her blog for several years. She writes from the perspective of a Muslim Feminist Convert and Parent of two beautiful daughters. I often find myself nodding in agreement or opening my eyes to a new take on something that has been on my mind. Woodturtle gave a lecture last month about mothering Muslim identity and wanted to interview me about my life raising Muslim Children. I wish I could have heard the lecture. 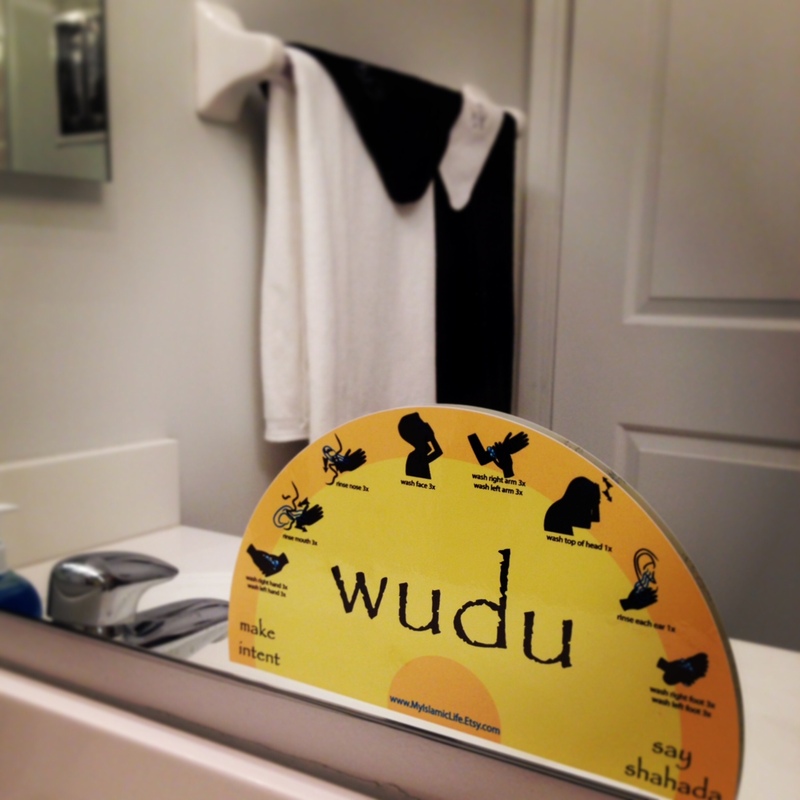 When I shared The Wudu Cling with Woodturtle she graciously offered to do a review and host a giveaway. Her glowing remarks went live today. Enjoy! 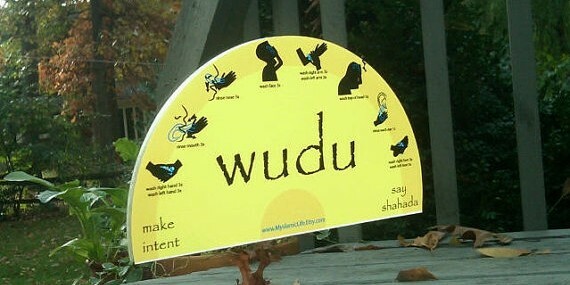 I caught my four-year-old trying to follow the steps for wudu from your cling!!!! “This is fantastic! Such a great idea, and easy to apply and remove. Thank you!” – Amanda Q. Atlanta, GA.
“I received the clings and it is so helpful for my son’s bathroom! Now we can be sure he is actually offering proper Wudu when he’s alone. I will definitely spread the word and I’m going to gift one to a new revert.